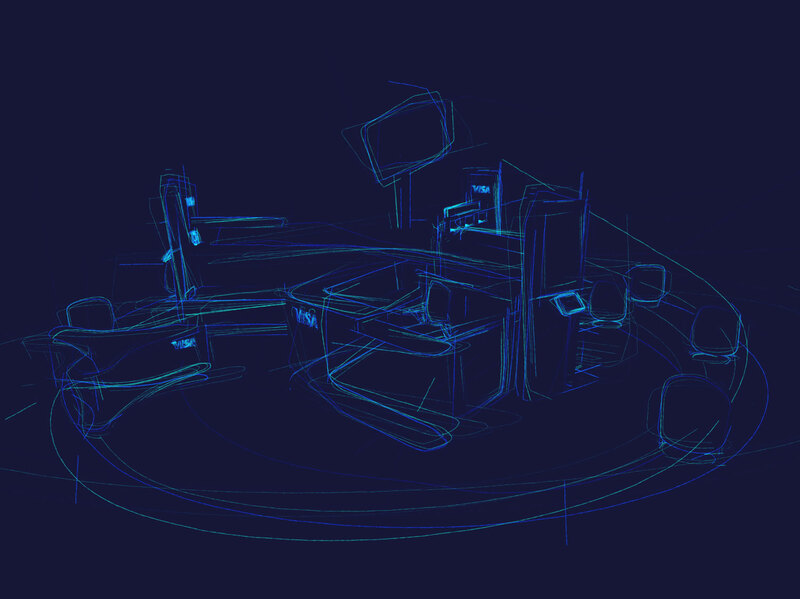 Visa rented a premium location at one of the largest shopping malls in the USA, receiving over 36 million shoppers annually. More traffic than Magic Kingdom and Universal Studios combined. 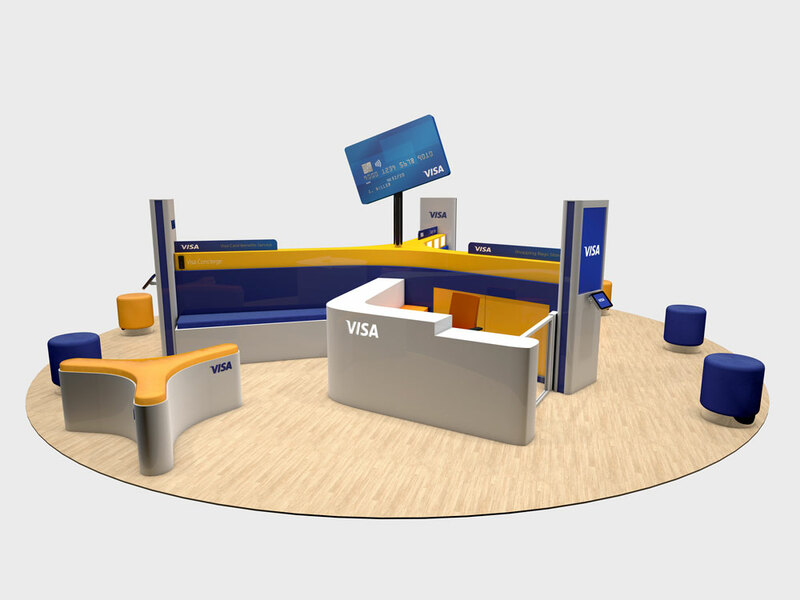 Visa asked us to design and build two state-of- the-art centers where international visitors could take advantage of their Visa cards while shopping. 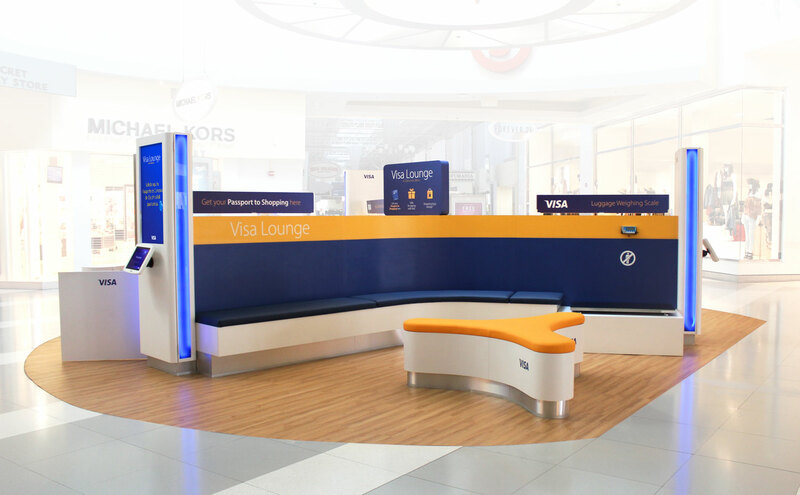 At any of the two Visa Lounges international visitors can see an interactive map to locate offers, check their flights status, weigh their luggage, redeem gifts, charge their electronics and many other amenities. 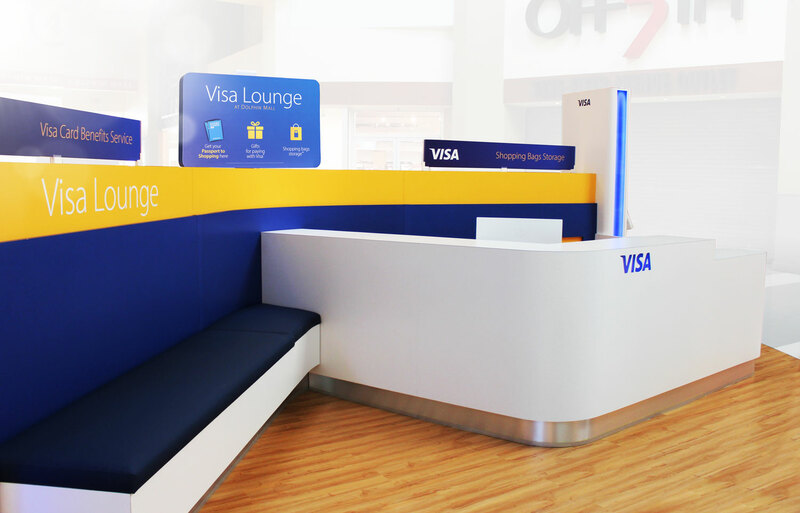 The Visa Lounge at Dolphin Mall will certainly improve their shopping experience.